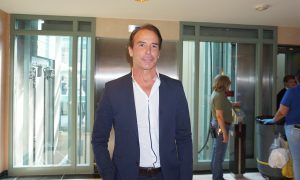 FRANKFURT, Germany—Mr. 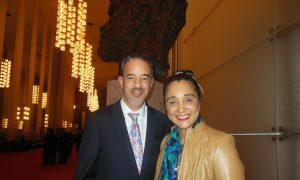 H.C. Kissner, manager of a large Frankfurt bank, and his wife attended the Sunday matinee of Shen Yun Performing Arts at the Frankfurt Jahrhunderthalle. 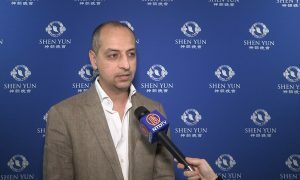 “Based in New York, Shen Yun Performing Arts was established by Falun Dafa practitioners in 2006. The company’s mission is to use performing arts to revive the essence of Chinese culture—traditionally considered a divinely inspired civilization. 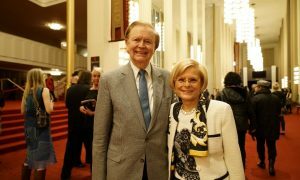 Since the CCP is officially an atheist regime, it is afraid of the freedom of expression this arts company enjoys in the West,” explains Shen Yun’s website. 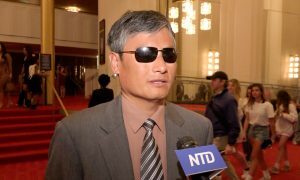 “It was interesting to see on the backdrop scenes from China. This was perfect,” he said. 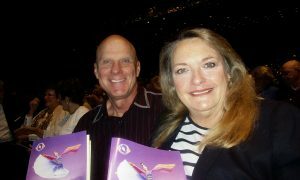 She bought the Shen Yun tickets as a birthday present for her husband after seeing a flyer. 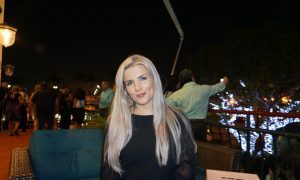 She also felt it was an opportunity to learn about Chinese culture.